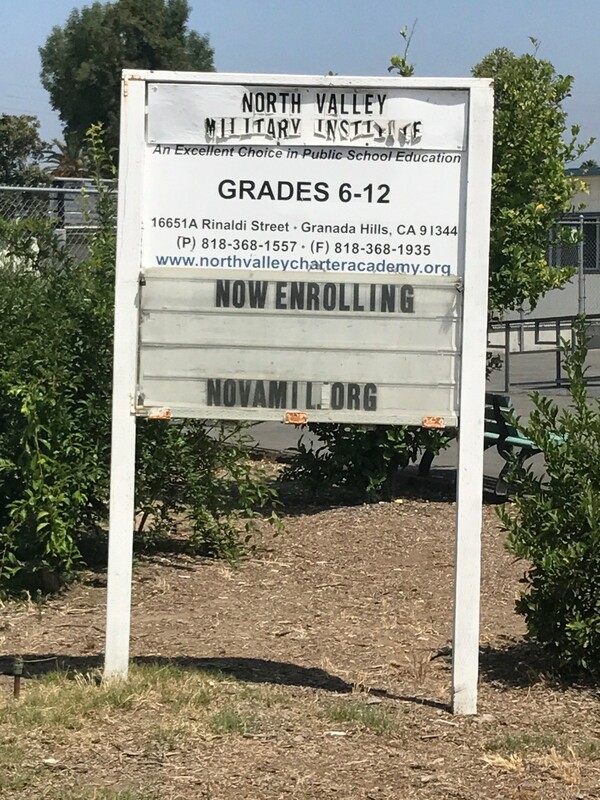 Last November, the Los Angeles Unified School District (LAUSD) rejected the North Valley Military Institute’s (NVMI) charter renewal. As allowed by California law, the school appealed the decision to the Los Angeles County Office of Education (LACOE), whose staff also recommended a rejection. However, the county board ignored their staff’s findings and approved the renewal. They did so without having a current, certified copy of the school’s required annual independent audit. While Debra Duardo, the Superintendent of LACOE, does recognize that California Education Code “EC 47604.33 does require charter schools to submit the annual audit to their authorizer, the county office and the state”, she blames the LAUSD for not ensuring that the school was in compliance. She is correct in her assertion that, as the previous authorizer, the LAUSD ignored its responsibility to ensure that the audit was filed since a review of the several Notices of Concern and Notices to Cure issued by the District did not show that this specific issue was addressed. However, the fact remains that the LAUSD did reject the charter’s renewal which is essentially the death penalty for a charter that is not in compliance with the law. By renewing the charter of a school that had not filed all documentation as required by law, LACOE’s Board indicated their lack of concern that the management of the school was not committed to following the rules. Furthermore, the audit is required for a reason. The section of the education code that mandates this filing states that “the chartering authority shall use any financial information it obtains from the charter school, including, but not limited to, the reports required by this section, to assess the fiscal condition of the charter school”. Yet, the LACOE Board approved the renewal without this information. After checking with the School Financial Services Office, LACOE’s Public Information Office reported on July 11, 2018, that “our agency did not receive an audit from NVMI for 2016–17.” Coincidentally, the LAUSD states that on the same day they received an email from the County requesting a copy of the audit and immediately provided it to them. Since the LAUSD reports that they received the audit on December 18, 2017, it appears that LACOE could have had the information prior to approval of the charter renewal if they had asked the LAUSD during the review process. Also left unclear is the reason why LACOE feels that it does not bear responsibility for ensuring that paperwork is properly filed with their office as required by law or if they would have even realized that they were missing the audit if a Public Records Act request had not been filed. In the past, independent financial audits have provided clues to wrongdoing at other charter schools. Without the information contained in the audit of El Camino Real Charter High School’s finances, the Daily News may have never found out about David Fehte’s unauthorized charges on the school’s credit card. The resulting news coverage ended with Fehte’s forced resignation. It was a sentence in Granada Charter High School’s charter’s audit that indicated that a loan had been illegally obtained from the school’s Associated Student Body (ASB) bank accounts. A review of the bank records confirmed wrongdoing and a complaint was filed with the LAUSD Charter School Division. This resulted in a Notice to Cure from the District. The inability to get a copy of an audit of NVMI from the county means that the public is lacking information about a school that they are funding. The proliferation of charter schools within Los Angeles represents a transfer of scarce public funds to the private sector. The willingness of the unelected LACOE Board to approve a charter without full financial disclosure shows how little oversight there is. The Los Angeles County Supervisors who appoint members to this board have a lot to answer for.